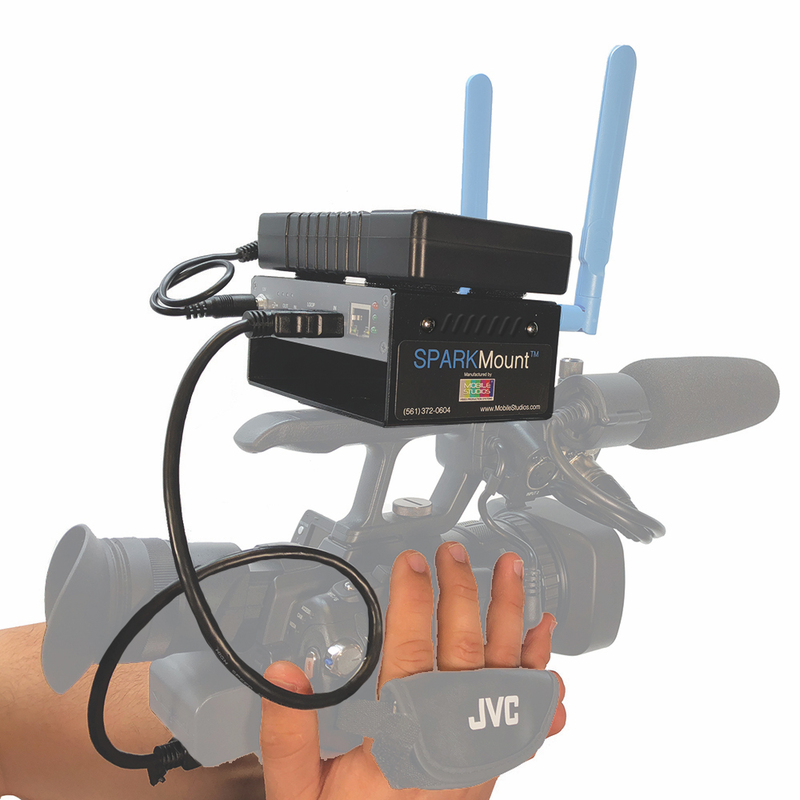 Deerfield Beach, FL – September 12, 2018 – Just in time for IBC 2018, Mobile Studios has announced two new SparkMount accessory kits for NewTek’s Connect Spark™ devices designed to convert SDI or HDMI video into NDI® and deliver to a computer and/or an IP network over WiFi. “We’re delighted that Mobile Studios took the initiative to develop the SparkMount accessory kits which are really well conceived and truly enhance the NDI experience and dexterity of Connect Spark,” said Michael Kornet, Executive Vice President and General Manager of NDI for NewTek. “Connect Spark equipped cameras can now deliver IP video over untethered WiFi for cost effective remote video production,” added Kornet. SparkMount Kits are currently available for immediate delivery direct from Mobile Studios, select resellers and the NewTek Online Store. World-wide distribution in progress (Contact Mobile Studios for info). 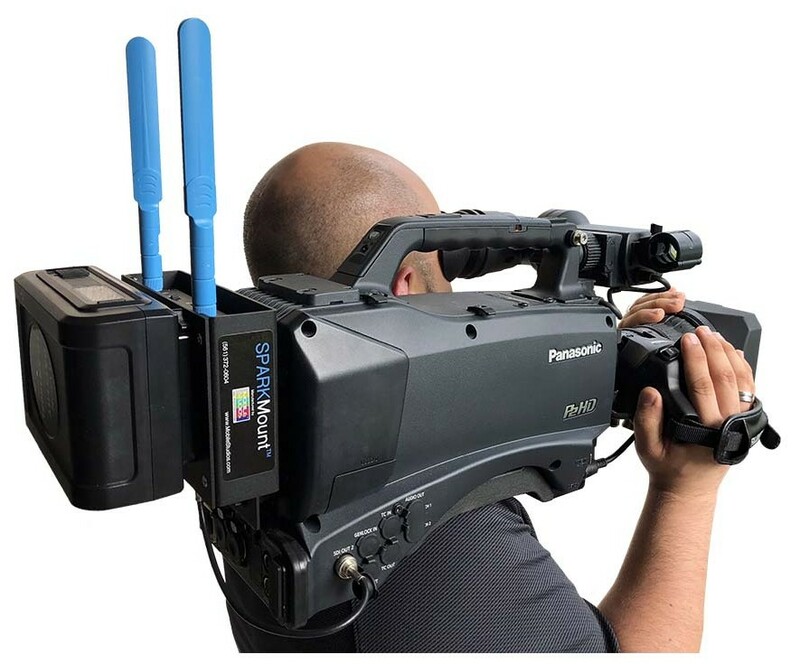 As a leading systems integrator and manufacturer of innovative products for video production including the PortaCast® console and NewTek SparkMount® accessories, Mobile Studios has been assisting customers to produce network-style television and share it with the world since 2003. From sporting events, live entertainment, classrooms, web-based talk shows and corporate communications, to virtually any place people want to produce live video, Mobile Studios tries to give customers the power to grow their audiences, brands and businesses faster than ever before. Clients include: Miami Dolphins, Jacksonville Jaguars, NewsMax Broadcasting, NBC Sports, Oklahoma State University, University of Texas, US Army, U.S. Polo Association, US Tennis Association, Jacksonville University, U.S. House of Representatives, NASA, US Federal Courts, Dow Chemical, Cendant Corporation, Comcast SportsNet, Consumer’s Union, Cox Communications, Discovery Communications, Electronic Arts, Fox Networks Group, Jackie Chan Enterprises, Jimmy Buffet Margaritaville, John Hopkins Medicine, Marathon Oil, Toyota, Telemundo, Texas A&M and Syracuse University. — NDI® is a registered trademark of NewTek, Inc.
— SparkMount® is a registered trademark of Mobile Studios, Inc.
— VELCRO® is a registered trademark of Velcro, Inc.
— All other products or brand names mentioned are trademarks or registered trademarks of their respective holders.